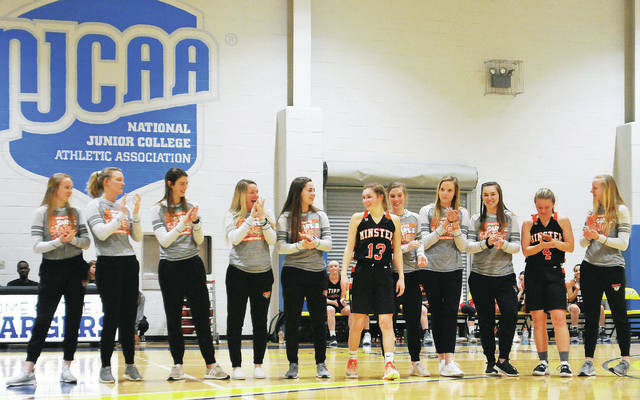 Minster’s girls basketball team is recognized for winning the Division IV state championship during the between games in the 2019 Bill Moss Memorial Miami Valley Underclass Classic on Wednesday at Edison State Community College. Minster sophomore guards Janae Hoying and Ivy Wolf, both in black jerseys, participated in the game. Minster's girls basketball team members post for a group photo between games during the 2019 Bill Moss Memorial Miami Valley Underclass Classic on Wednesday at Edison State Community College. 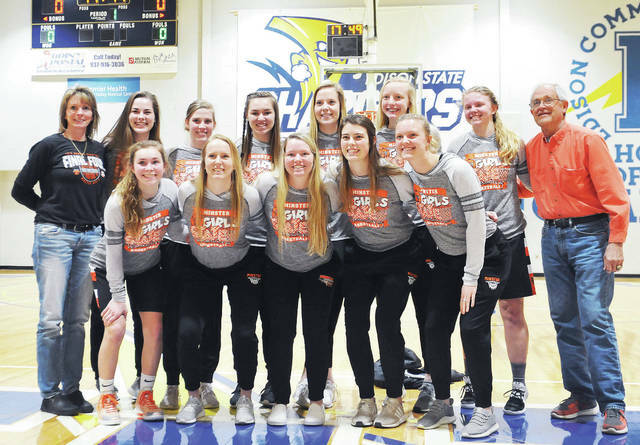 Minster’s girls basketball team members post for a group photo between games during the 2019 Bill Moss Memorial Miami Valley Underclass Classic on Wednesday at Edison State Community College.